If you say “I like museums”, people usually think you have a boring personality. “Eewwww, museum girl, she doesn’t know how to have fun,” people think to themselves (or say it out loud). Sometimes, they also think that this ‘state’ is contagious and they better stay away from you. And right they are! Stay away! Because if you don’t, I’ll have to show you how exciting, fun, cool, and inspiring museums in Europe actually are. And then you will probably get bitten by the museum bug, and go to museums all the time, and then they’ll get overcrowded, and it’ll be messy, and I’ll regret this. Me at the entrance of del Prado. 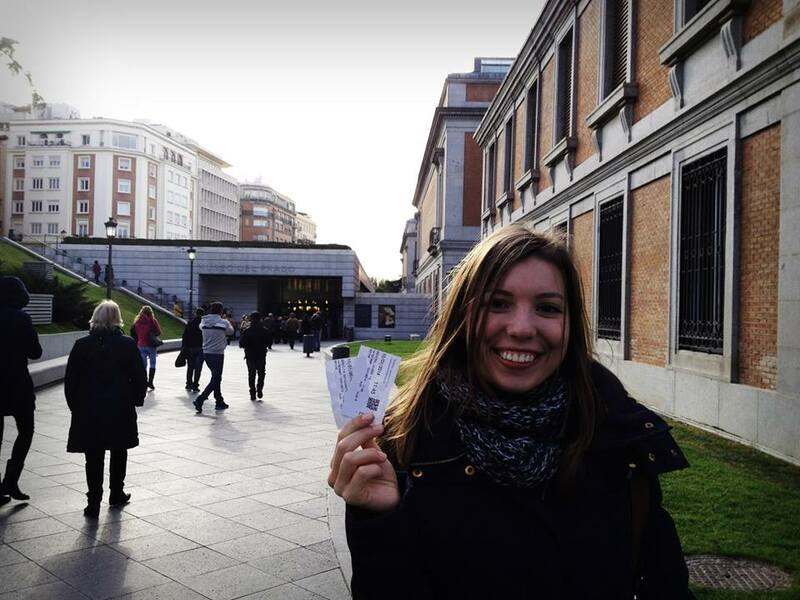 Museo del Prado in Spain is so famous that I first learned about it when I was about 10. So even before I went there, I already knew what I was going to see – masterpieces! And a lot of them!! It’s actually incredibly cool to see with your own eyes some of the world’s most renowned paintings which you recognize from school. It’s a completely different experience. And it also, in a weird way, brings you a special feeling of accomplishment, as if you’ve finally made it or something. So go to del Prado and feel good about yourself! As a museum that has the largest collection of paintings in the whole world, Hermitage will test how much of a museum-fanatic you actually are. When people think of Hermitage, they usually only imagine the Winter Palace, which is so big it will take you days and days to go around completely. But the truth is, Hermitage is a huge building complex that, apart from the Winter Palace, consists of Small Hermitage, Big Hermitage, New Hermitage, and Hermitage Theatre (gosh, those Russians really had no imagination, huh?). Hermitage has absolutely everything, so it’s very overwhelming when it comes to choosing what you want to see. Even people who live in St. Petersburg haven’t been to all of the parts of the museum. If you like the Renaissance period, this museum is a must. It has around 750 paintings from the 15th to the 18th centuries, with the finest examples of Italian, Dutch, and Flemish Renaissance art. There are outstanding works by German, Spanish, and French artists, too, but the main attraction in the Old Masters Gallery is, of course, the Sistine Madonna by Raphael. Breathtaking. And also a reason why the museum receives half a million visitors per year. I’m a huge fan of the Art Nouveau, also known as Jugendstil. Luckily enough, I was born in Riga, Latvia, which is one of the most important centres of Art Nouveau among Paris, Barcelona, Vienna, and Krakow. The Art Nouveau Museum in Riga is actually a small apartment full of belongings inherited from our great-grandparents, living in La Belle Époque. Inside, you can get a glimpse of the sophisticated and fashionable lifestyle that people used to have in the beginning of the 20th century. You can even try that lifestyle on – they give you a gorgeous wide-brim hat that you wear during the whole tour. I loved it. The New Museum in Berlin is part of the Museum Island complex – a piece of paradise spared from World War II. The Island has five globally renowned museums that are all worth a visit, but the Neues Museum is my favourite. That’s the one that has the famous bust of Queen Nefertiti, the most beautiful woman in the world. And indeed, the beauty of this thousand-year-old sculpture is so astoundingly impressive that it causes your jaw to drop and your breath to stop. Thank god Nefertiti is dead because if I saw her in real life my eyes would probably bleed. Situated on the Unter den Linden Boulevard, German Guggenheim was a tiny art museum that occupied just one room. But those 350 square metres were filled with so much art that it was impressive the gallery could fit it all inside. I saw the still lifes of Picasso, Cézanne, Van Gogh, Monet, Degas… Amazing! Now, since Picasso, Cezanne, Van Gogh, Monet, and Degas are no longer in Berlin, you should go to London to visit the Courtauld Gallery. It’s one of the best art museums in the world with really famous Impressionist and Post-Impressionist paintings. I mean, really famous. Remember that self-portrait of Van Gogh, in which he has a bandage on his ear because he went crazy and cut it off? It’s there. The small Magritte Museum is hardly noticeable next to the Royal Museums of Fine Arts of Belgium, where it stands. But nevertheless, it’s definitely worth a visit even if you have never heard of René Magritte before. He began as an advertisement designer and finished as a famous surrealist artist. His works are witty, cool, incredibly talented, and stimulating for your brain. And that’s what you go to museums for. Did you know that the comics actually originated in Belgium? I was shocked when I found out because I always imagined that all comics came from the U.S. or Canada, who decided to exploit the movement at its fullest in the film industry. But no, apparently Belgium (and France) was home to the first comic series, such as The Adventures of Tintin or The Smurfs. 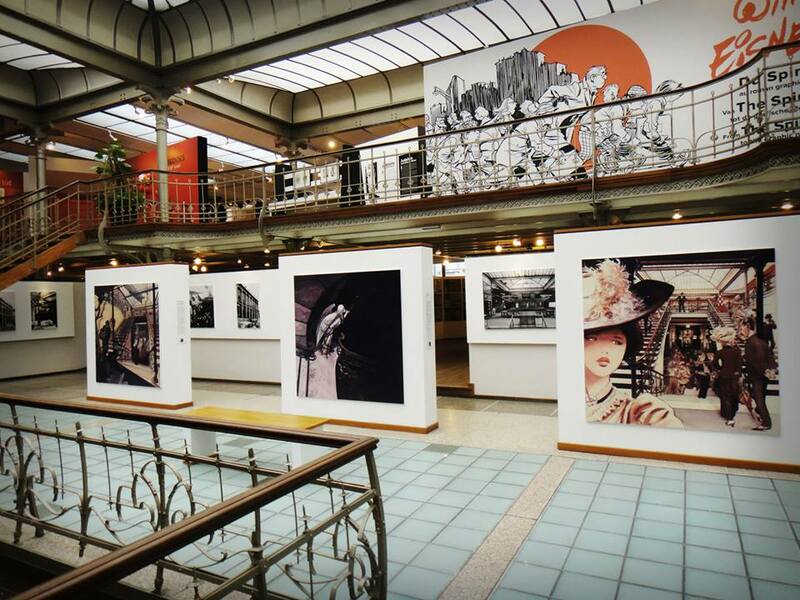 The Comic Strip Center in Brussels is a big gallery devoted to, yes, the history of comics. Even though there are no kings and queens in Poland anymore, the Royal Castle in Warsaw is still pretty royal. It has a relatively modest exterior, but absolutely gorgeous interior. The royal chambers are spectacular – I still remember how impressed I was with The Marble Chamber, which was absolutely glorious. Also, the Royal Castle has the one and only painting with the 3D effect (I’m not kidding) – The Girl in a Picture Frame by Rembrandt. It looks as if the model is getting out of the painting, just like Phoebe’s “Gladys” and “Glynnis” did in Friends. But of course, Rembrandt had a bit more talent than Phoebe. The Jewish Museum is the emptiest and yet the most memorable museums you will ever visit. There are blank walls, voided spaces, iron faces – and strong, vibrating silence coming from the old photographs and letters written from concentration camps. If you’re in Berlin, this museum is a definite must. Never knew about this one? Well, now you do! It’s the world’s first ever university museum that was created first as a ‘cabinet of curiosities’ in 1677. As a museum, it was established 6 years later and has been functioning in this role for happy 332 years. Ashmolean museum has the most impressive-looking ceramics and china collection that I’ve ever seen in my life. And I’m not an old spinster to be usually impressed with these kinds of things. They say that the British museum has more mummies and Egyptian relics than Egypt itself, and it might be true. The Egyptian section in the museum is so huge you can get lost in time there – a real paradise for those obsessed with mummies, sarcophagi, and ancient hieroglyphs! The British museum, however, offers much more than that – so much, in fact, that it’s impossible to summarize it in a sentence. So what do you do? 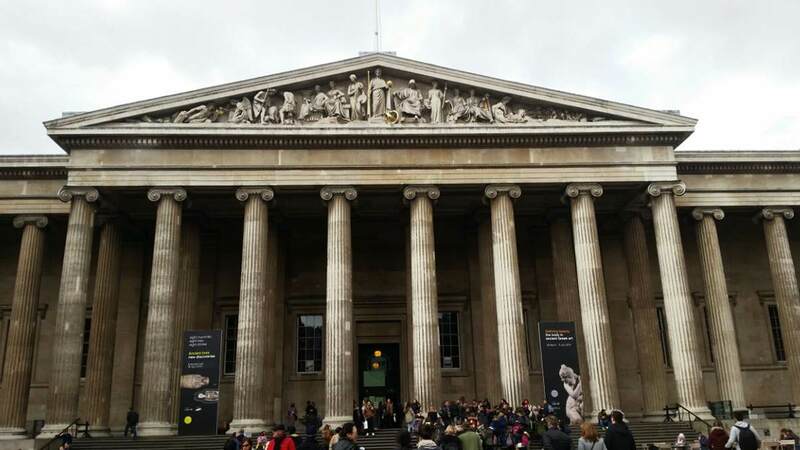 Go to the British museum and see for yourself what it has! Pssst… the entrance is free, too! I’m a museum girl. Always was, always will be. Over to you! Are there any more amazing museums you can recommend? What a wonderful post. I am a museum person too and this gives such a range. I love the museums in London of course, especially the Museum of London, The Science Museum and the Imperial War Museum, and (going outside Europe) I think the Frick Collection in New York is one of my favourites. It was a complete and interesting your explanations.You rememberd of Riga. land of your bittersweet memories. Home unforgettable all of the life.Thank s for presentation beautiful words . in my blog, you can see your great blog. Nice of you to put the Royal Castle in Warsaw as #10. It’s definitely worth a visit, though the thing I like most about it are its parquets, the highly elaborate designs in its wooden floors. I’m surprised you put Prado over the Hermitage, however. I’d put the Hermitage over the Prado. Just wait till you get to London or Washington, DC. :) You’ll need more than a week to see all the museums in those cities! I have the most positive experience from visiting the Royal Castle in Warsaw, and I don’t understand why people hardly mention it in their must-see museum lists! Very unfair. I’ll definitely have to visit these museums! удачи в твоих путешествия ! Ну, музеи бывают разными) Я недавно была в Старой Пинакотеке в Мюнхене, так чуть не умерла со скуки – сколько можно смотреть на распятого Христа и толстых ангелочков? Пошла в Новую Пинакотеку – так там столько кислорода, столько свободы!! А ведь все равно, “музей”. Хотя конечно, кому что! Да и от настроения зависит – я и старые, пронафталинированные музеи тоже иногда люблю посетить.